One of my heroes is gone. On Saturday evening, my grandmother, Vivian Burch Holmes, passed away at the age of 97. My grandma was my hero because she was so full of life, interested in living and in other people right up until the end. Until recently, she went to hospitals and nursing homes to visit and play bingo with the “old people.” She lived independently until November, when the effects of a small stroke made it too hard for her to climb the stairs to her basement-level apartment. I know she found it very difficult to move to an assisted living facility near my aunt, leaving her friends, her church and her independence behind. 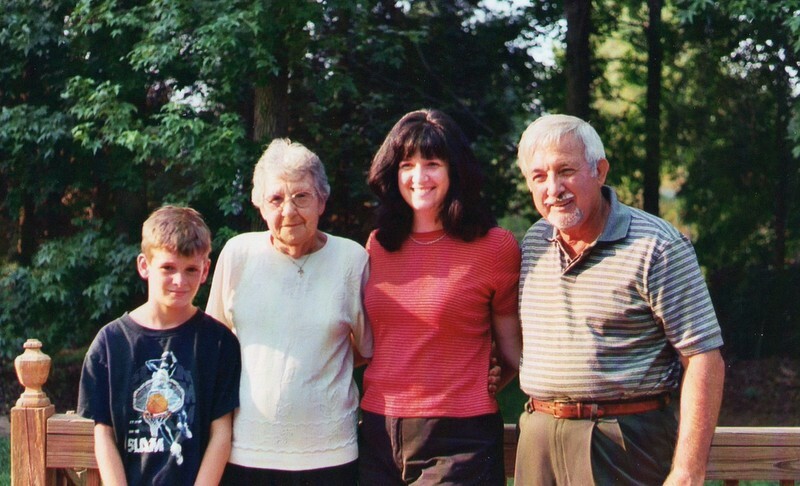 Even with our sporadic contact, I have many happy memories of Grandma. She tried to teach me how to crochet (I never advanced beyond one long string of yarn) and she did teach me how to do candlewicking. One of my favorite memories is of the time she came to visit us in Florida, and my dad and stepmom came from California, when Nick was about 3. It was near Grandma’s birthday, so every time we went out to eat, we told the servers it was her birthday, and they came and sang to her. 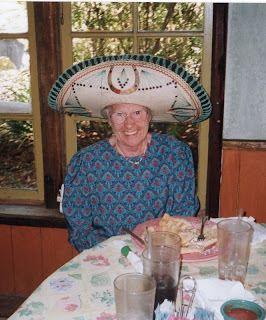 The best time was at a Mexican restaurant where they made her wear a giant sombrero while they serenaded her. You can see by her big smile she’s enjoying the experience! Other memories of that visit include a trip to Disney World, and a looong toy guitar “concert” given by Nick out on our lanai which everyone endured more or less patiently. Grandma lived a full life, and died a peaceful death. She was loved and she will be missed. She was not rich, famous or powerful, but she touched and inspired many lives, including my own. I was lucky to be her granddaughter. 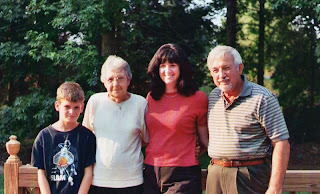 Four generations: Nick, Grandma, me, my dad. Kathy - I'm so sorry for your loss. I know you'll miss your grandma but it sounds like she had a long full life and passed peacefully. You have some good memories of her; I hope those memories provide some comfort for you in the days and weeks ahead. 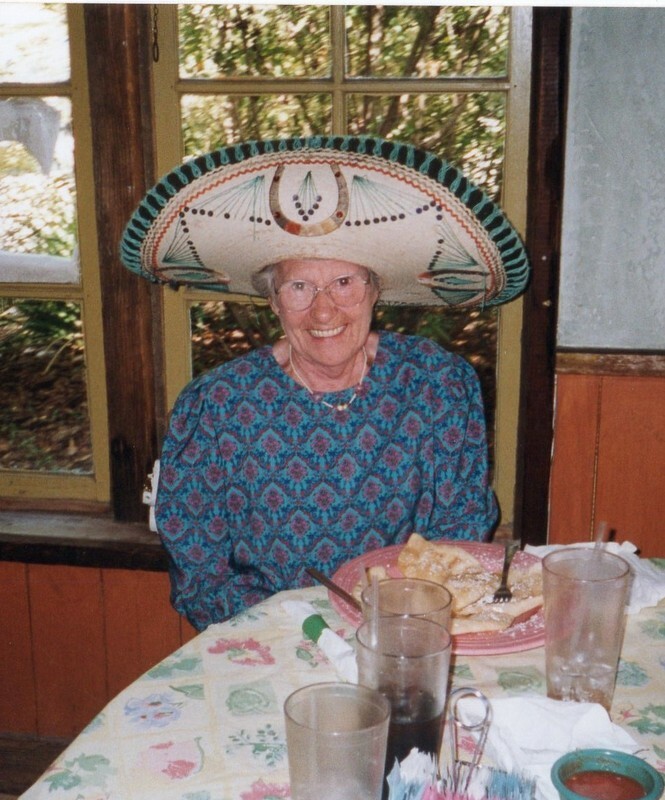 I love the photo of her with the sombrero - she looks so happy. I'm sorry to hear of your loss. May your memories be comforting. Your grandma sounds like a truly remarkable person. May her legacy live on well into the lives of all those whom she has touched. Take care! Thank you, Claire and Michelle. I appreciate your kind words. So sorry to hear about your grandma--no matter the age or how rich a life a person has led, she will be missed! It sounds as though you have some very fond memories of her to keep close at heart. You have my sympathies! Thank you, Danielle. I appreciate your kind comments. Sorry to hear you lost your grandmother. I hope someday my grand kids will feel as loved by me and think as highly of me as you seem to have by and of your grandmother. Cherish your memories. 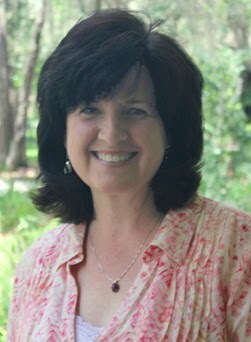 Timaree--Thank you for your kind comments. I hope your grandkids appreciate you, too! Cheryl--I just found your comment in the spam filter--I'm so sorry I missed it! Thank you for your kind words. My grandma was a lovely person, and I think she was a happy and loved one, too. We can't really ask for better, can we?